This national monument encompasses a historic house and museum that were significant to the women’s suffrage and fight for equal rights in the US. This movement took place in the Capitol Hill neighborhood in Washington DC, of which this national monument aims to commemorate. The national monument was named after two of the women who lead the National Woman’s Party movement: Alva Belmont and Alice Paul. In 1929, the house served as the headquarters for all of the activities of the organization of National Woman’s Party. It was President Barack Obama who declared it a national monument in 2016 (although it has been previously named a national historic site and national historic landmark in 1972 and 1974, respectively. Even though the current state of the house is a result of several restorations and architectural changes, the original structure was built in 1814. This is another former home turned into a historic site in this list of national park service sites in Washington DC. It is located in 1538 9th Street NW, in Washington DC’s Shaw neighborhood. The site preserved the former home of Carter G. Woodson who died in 1950 and founded the Black History Month. He is an African-American author, journalist and historian. The house was built in 1915 and features a late Victorian architectural style. It was Dr. Woodson’s home since the time it was built until he died in 1950. The home served as center of operation for the Association for the Study of African American Life and History. He also did a lot of research and writing in relation to the history of African American lives. This national historic park was established to preserve the remains of the Chesapeake and Ohio Canal, which seems to have been neglected. The canal and towpath trail that travels through this part of the Potomac River flows from Georgetown to Cumberland in Maryland. The park aims to preserve not just the canal itself but also many of the canal structures built around it. This park area is another unit of the national park service sites in Washington DC. It is located within the area of the National Mall and measures at 50 acres in land area. The main feature of the garden is a small pond with an island that is accessible to the public. Before the Constitution Gardens was developed, this same land was submerged by the Potomac River. In 1976, architects and landscapers added a series of plants and designs within the area to convert it into a picturesque and restful park with a small lake. The original budget for developing the Constitution Gardens was $14M but was reduced to $6M. Due to the accessibility to famous monuments around it, there are millions of tourists who visit the Constitution Gardens each year. This national historic site was established in 1932 and consists of two main buildings: the Petersen House and the theatre. It is one of the national park service sites in Washington DC, which is a mid-19th century theatre that was re-opened in 1968 and 2009. The theatre was a popular venue for stage performances during the 19th century. This is also best known for being the site of former US President Abraham Lincoln’s assassination in 1865. The other component of the historic site, Petersen House, is where the President was brought to after he was shot. Eventually, he died in the Petersen House the next morning. There is a museum located beneath the theatre, which was renovated when it re-opened in 2009. The National Park Service and Ford’s Theatre Society co-manages the museum. The museum holds several artifacts and items related to the assassination, along with portraits and statues of President Lincoln. This is another one of the presidential memorials included in this list of national park service sites in Washington DC. As the name implies, the memorial was created to honor the US’ 32nd President Franklin Delano Roosevelt. The memorial is a work of architect and landscape designer Lawrence Halprin. It was President Bill Clinton who inaugurated this memorial to honor the distinguished career of the former President. The creation of the memorial, specifically FDR’s statue, had some controversy surrounding it since the artists decided against depicting the former president in a wheelchair (despite this known disability). Despite of that, over 2.8 million visitors tour the memorial each year. This national historic site is another unit of the national park service that is dedicated to the African American history in the United States. Located in Anacostia in Southeast Washington DC, the site commemorates the former home of Frederick Douglass. He is one of the most prominent advocates of African American rights during 19th century. He lived in this house until his death in 1895. The house sits on a 9-acre property that overlooks the Washington DC skyline and US Capitol Hill. This memorial parkway stretches for 25 miles from the southern bank of Potomac River to Langley, Virginia. It is currently managed by the National Park Service unit of the US Government. Majority of the park belongs to Virginia except for some parts that belong to District of Columbia. 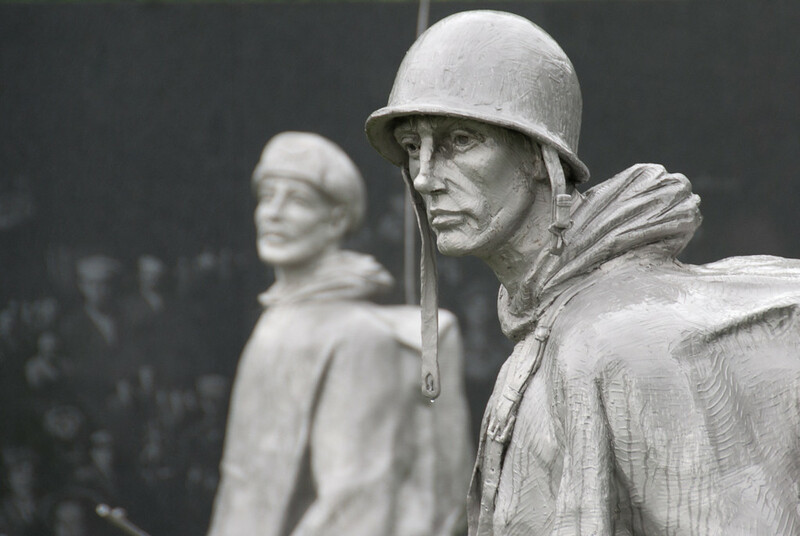 Located in West Potomac Park in Washington DC, the Korean War Veterans Memorial commemorates the soldiers who fought and died during the Korean War. It was established in 1986 with the Mural Wall being the most distinctive feature of the memorial. The memorial itself is formed in a triangle intersecting a circle. The wall stands at 164 feet long and 8 inches thick. The wall is made of “Academy Black” granite from California. It depicts over 2,500 photographs and archival images of the troops who served on land, air and sea. This is probably one of the most recognizable memorial constructed to honor a former US President. 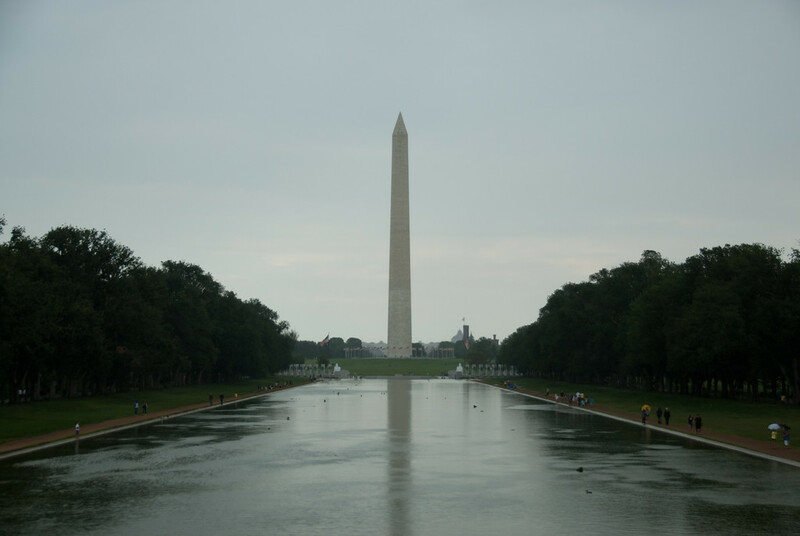 It is located on the West End of National Mall in Washington DC with a measurement of over 27,000 square feet. The Lincoln Memorial started construction in 1914 and was completed in 1922. The building’s architectural style features Greek Doric temple style with the large seated sculpture of Abraham Lincoln as the main feature. There are also inscriptions of his two famous speeches at the memorial site: Gettysburgh Address and Second Inaugural Address. 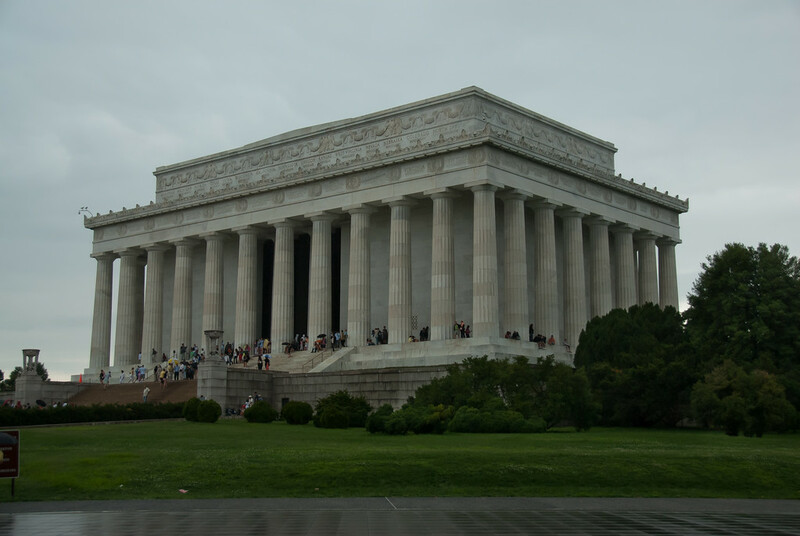 On an annual basis, there is an average of 6 million tourist visitors to the Lincoln Memorial. Located in Columbia Island, this is another unit of the national park service sites in Washington DC created to honor a US President. Specifically, this memorial is made for the 36th US President Lyndon B. Johnson. The grove consists of two parts: a Texas granite monolith consisting of walks and trails, and the grass meadow that provides a venue for reflection and rejuvenation. There are several white pine and dogwood trees surrounding the memorial grove. The memorial site also provides an overlooking view of the Potomac River. The US Congress approved the designation of this site as a national memorial in 1973. The total land area is 17 acres. The Martin Luther King, Jr. Memorial is located next to the National Mall in Washington DC. It covers a total of 4 acres in land area that honors the Civil Rights Movement leader Martin Luther King. The main feature of the memorial is a granite statue of MLK himself. The memorial was opened to the public in 2011 after two decades of planning and construction. The memorial’s public declaration was timed on August 28, 2011, which also marks the 48th anniversary of Martin Luther King Jr.’s “I Have a Dream” speech. This memorial is not the first one dedicated to an African American; however, this is the first located on or near the National Mall (which mostly features monuments from former US Presidents). This national historic site is located in 1318 Vermont Avenue in Northwest, Washington DC. The site is where the house of Mary McLeod Bethune is, which is a three-story Victorian house with a two-story carriage house. The carriage house is where the archives of the Black Women’s history is hidden. There is also a research center within the property, on top of the National Archives. There are park rangers available to offer tours on the site but you have to do so by appointment. The floor plan of the house remains unchanged from the time that Bethune lived in it – even the furnishings are the original ones. This unit of the national park service sites in Washington DC encompasses several federally owned properties within Washington DC. This includes parks, memorials, monuments, triangles, and open spaces, to name a few. It was President George Washington who authorized the Congress to procure an area near the Potomac River that will serve as the nation’s capital. This was in the late 18th century wherein the land was developed in what is now the District of Columbia in modern times. The National Mall is a term used to refer to a national park located in downtown Washington DC. It is managed by the US National Park Service. The term National Mall can be confusing because it encompasses the entire area from Lincoln Memorial to the US Capitol. Therefore, a lot of tourists might confuse them as one property when in fact they represent different units of the national park service sites in Washington DC. 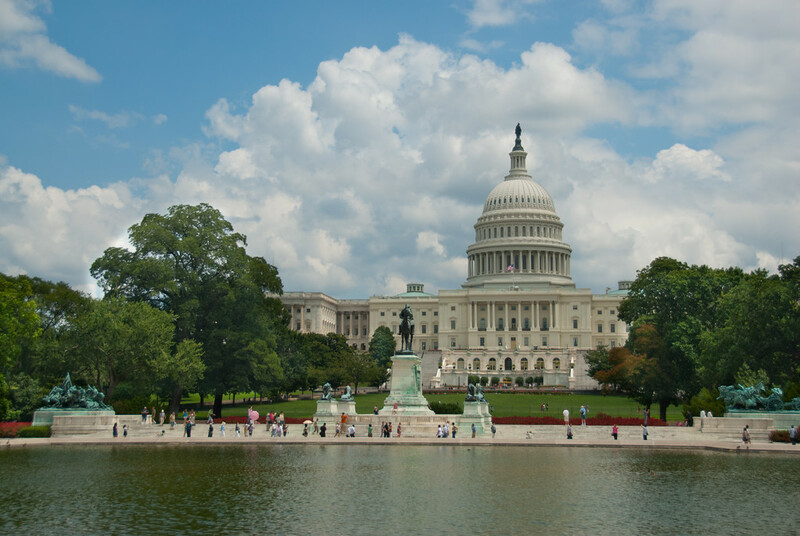 There are approximately 24 million tourists who visit the National Mall each year. This national historic site in Washington DC was established in 1965 and consists of several structures and places that are of historical, cultural, and aesthetic value. Among the notable structures and places that consist of this historic site are the White House, United States Capitol, Treasury Building, Federal Triangle, Old Pension Office Building, Peace Monument and more. The Pennsylvania Avenue is used to name the site because it serves as the heart of this historic site. In fact, it has been dubbed as “America’s Main Street” by many. The Rock Creek park is a massive urban park measuring over 3,000 acres in land area. It was established under the Act of Congress in 1890 in an effort to preserve a series of batteries and forts that surround the District of Columbia to defend the city during the US Civil War era. According to the designation of the site as a park, it would aim to preserve the animals and timbers within the property from damage in order to preserve its natural condition for as long as possible. The park was also designed to be a place for pleasure and enjoyment among its visitors. This island and national memorial is located in Washington DC’s Potomac River. It measures at 88.5 acres and was given by the American people to commemorate the life of the US’ 26th President, Theodore Roosevelt. The island was donated to the Theodore Roosevelt Association. The island is currently being maintained by the US National Park Service and features a plaza and various trails. A 17-foot statue of Roosevelt is the focal point of the national memorial. The site is only accessible via footbridge and no cars or bicycles are permitted to access it. Continuing on the list of national park service sites in Washington DC that is created to honor the memory of a former president, the Thomas Jefferson Memorial was built in 1939. Thomas Jefferson is considered as one of the founding fathers of America. In fact, he helped write and draft the Declaration of Independence and was a Secretary of the State during the first President’s term, George Washington. The neoclassical memorial building is a work of architect John Russell Pope and Eggers & Higgins. Meanwhile, there are are approximately 2.3 million tourists who visit this memorial per year. This 2-acre national memorial is located in Washington DC that honors members of the US Armed Forces who fought in Vietnam War. 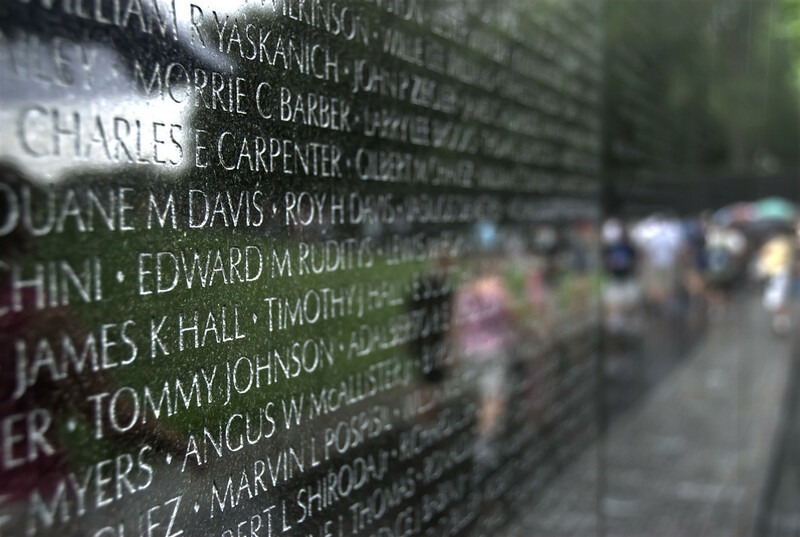 The memorial honors those who died in the Vietnam War and those who were unaccounted for or missing during the war. The main part of this memorial finished construction in 1982 and is located northeast of the Lincoln Memorial. It is maintained by the US National Park Service with over 3 million tourist visitors per year. Along the over 246-feet long gabbro walls are names of the servicemen who fought and served during the war. There are 58,191 names etched onto the wall. As of May 2015, new ones were added to those names (including 8 women) and the total is now at 58,307. 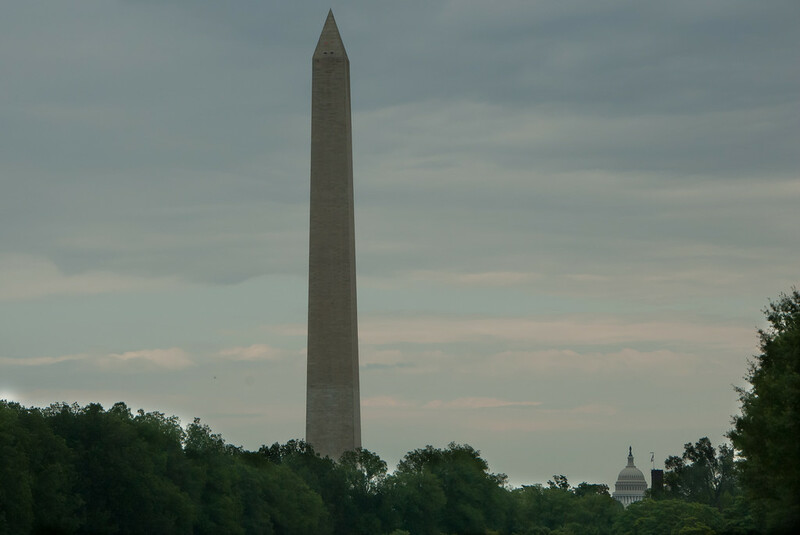 This obelisk memorial was built to honor the first US President, George Washington. It is located within National Mall and east of the Reflecting Pool. The obelisk monument itself is made of marble, granite, and bluestone gneiss. With a height of 554 feet and nearly 8 inches tall, this is the tallest stone structure and obelisk in the world. The 2011 earthquake in Virginia and Hurricane Irene caused some damage to the structure. The structure is undergoing repair and re-assessment of damage. Prior to that, about 671,000 tourists visit the Washington Monument each year. It is handled by the US NPS and is therefore among the national park service sites in Washington DC. The White House is the official residence and principal workplace of the President of the United States. It is located in 1600 Pennsylvania Avenue NW. 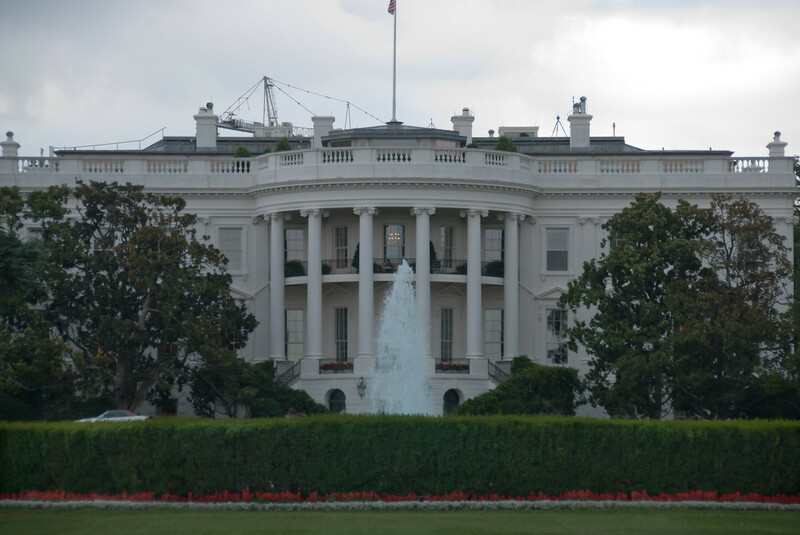 Since John Adams’ term, the White House has been the official seat of the US President. The term White House is also used to refer to the President and his/her advisers. It was Irish-born architect James Hoban who designed the White House in 1792. In 1800, the sandstone building was painted with white owing its current name. The modern-day White house consists of several buildings each with their own purpose. These buildings are the Executive Residence, West Wing, East Wing, and the Eisenhower Executive Office Building. The White House is not just one of the national park service sites in Washington DC – it is also a National Heritage Site. This memorial site was built to honor the services of the members of the United States Armed Forces during World War I. The memorial park is located within Pershing Park in Washington DC. The aim of this memorial was to honor and re-live the stories of those who served during the First World War. This initiative was inspired after the Liberty Memorial Association in Kansas City created the Liberty Memorial to build a lasting monument for the men and women who fought during the World War I. Hence, the National World War I Memorial and Museum were built to remember and interpret the lasting and global impact of the First World War. 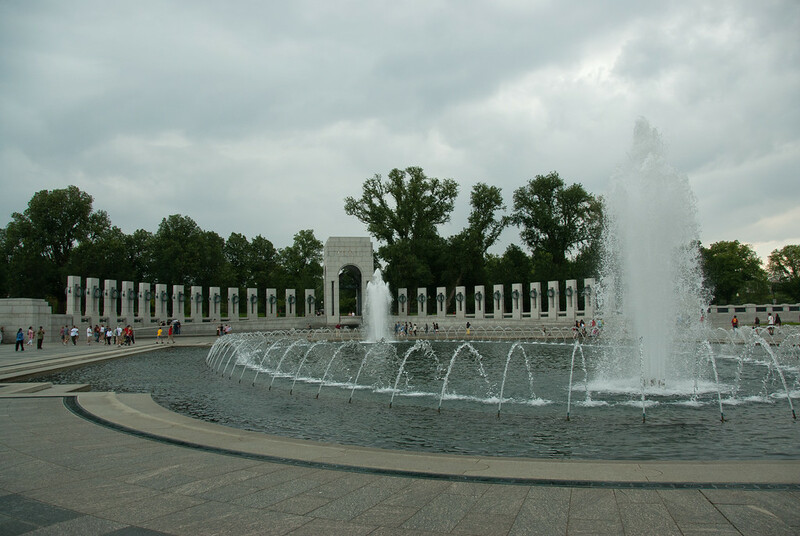 The World War II National Memorial is listed as one of the national park service sites in Washington DC due to its national significance. It was dedicated to the American servicemen and civilians who served during the World War II. The memorial was dedicated to President George W. Bush in 2004. Since it opened, there are about 4.4 million tourists who visit the site each year. The memorial consists of 56 granite pillars (standing at 17 feet tall) and a pair of small triumphal arches. It is also surrounded by a plaza and fountain. The site of the memorial used to be where Rainbow Pool was – in between Washington Monument and the Lincoln Memorial.